Home / Posts tagged "Apple Watch Series 4"
It was again the same time of year at Apple Park campus in Cupertino, California. Apple CEO Tim Cook took the open stage to announce everything about its Apple’s hardware, and that was latest and greatest. Apple introduced its next-generation watch. 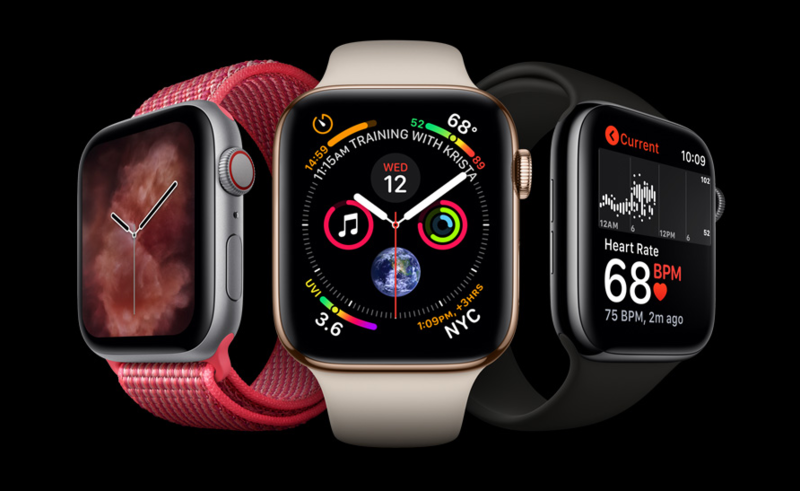 In its series 4 version, Apple’s chief operating officer Jeff Williams assures that ” it’s every single detail is considered, and it is simply beautiful”. The screens of this latest gadgets seem 30% significantly significant in compare to its previous version. The footprint is small in compare to series three because of its bezels and corners that seek out bit more space. It is thinner than the previous one. Moreover, it gives the access to recently contacted family members, multiple time zones and fitness stats. Even if you are looking for relaxations and meditations based application is now a watch app too. It’s quite hypnotic, and it will guide you with breathing exercises to make you feel relax. It provides haptic features on a digital crown, giving physical feedback on the apps that support it. The speakers are 50% more loudly for the calling. Watch Series 4 gets its new S4 chip, 64bit dual core processor that is twice as fast as its previous version processor. Williams then comes on to announce about its Series 4 identifications of new accelerometer and gyroscope that can sample the motion 8times faster than the predecessor. At the time of action, Series 4 will find and recognize and start recording the trip. It also has the feature to initiate an emergency call. “Fall detection is a feature that we hope will never require, but it’s great to know that it’s there”, Williams said. Watch 4 also introduced heart features. It will give notification when your heart rate shows low, shows the heart rhythm, and can detect atrial fibrillation. That is enabled with an optical sensor. It is FDA approved product and can sell directly to consumers. It comes with 6hours of workout time and shows good 18hours of standby time. It has rich colors to show that comes in Silver, space grey and gold. Moreover, steel watch faces have inclusions of polished and space black. Apple also introduced a new finish gold stainless. Series 4 comes at 399$ for Wi-Fi-based with cellular connectivity. Watch OS 5 is introduced and will come on September 1. Tim Cook also announced that iPhone X is one of the most popular smartphone across the globe with its 98% customer satisfaction rate. If you owe your card, and it’s high time, you’ve hit the iPhone bingo. 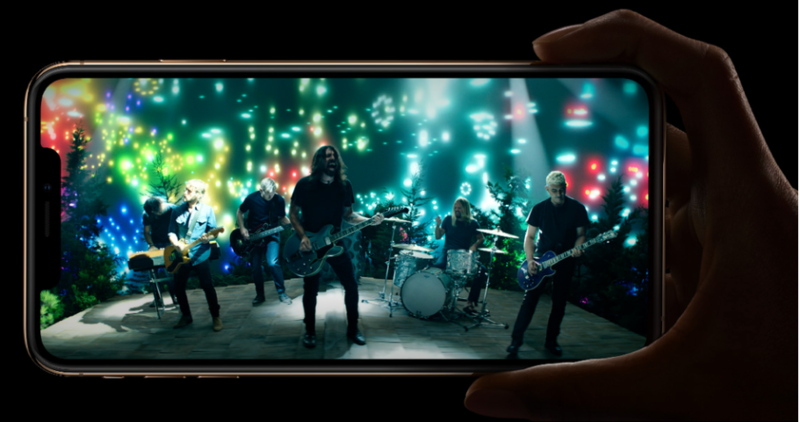 Phil Schiller, senior vice president of Apple Inc., announced that its latest version would be called as iPhone Xs. It comes with amazing colors of Gold, Silver and Space grey. Moreover it is dust and liquid free protection on a higher level, IP68. There are 458 PPI for new super retina OLED 5.8 inches display. It comes with a larger screen than iPhone 8 Plus, having a small body. Moreover, its Dolby Vision HDR10 have a dynamic range more significant than the X. It has two sizes to buy, 5.8inches and 6.5inches. It is called as Xs Max, and inshore with 2688×1242 resolution. It looks big, but having a larger screen paired could be manageable. It comes with stereo sound. Moreover, a new feature is also a fun feature for gaming, music and watching videos. XS has faster Face detection. Faster algorithms and faster versions secure the enclave. We will see the first nanometer A12 bionic chip. It is packed with 6.9billion of transistors. It has 4-core GPU and 6-core GPU. It has the high jump in graphics performance. But with its biggest new neural engine, an 8-core machine learning engine. (Up from 2-cores in the A11). It has the support of 0.5 terabytes and can run 5trillion operations every second. It can open the apps 30% faster than A11 Bionic. As per the statement of Todd Howard, Game Director at Bethesda this new iPhone will come with 40% faster graphics. It utilizes valuable training assistance for the NBA prodigies and Backyard hoopsters. Ok, so back to important features, that is a camera. It comes with a large sensor with a 12Megapixel dual camera on the back with True Tone flash, with better image processing due to A12 bionic chip. It has the add-on feature of in-depth photos and image stabilizations. Front camera comes with 7-megapixel selfiee cam. Smart HDR with its new feature, with zero shutter lag and taking the burst photos and can merge to bring in highlights automatically and shadows with incredible details. Video lovers also have a chance to be excited as the latest version comes with improvements like a recording of stereo sounds along with four mics. Moreover, dynamic range, shadow details and faster processing are few new features that go into a video segment. Now, let’s discuss the battery. Xs comes with 30 minutes of more stand by with X. Xs Max is one of the biggest iPhone battery till date with 1.5 hours of higher batter life than its previous one. Well, both the versions have Gigabyte LTE band support for roaming. But the biggest announcement we are waiting for the years is Dual Sim support. Both the models will support the dual sim. The iPhone X’s and X’s max comes with three options of configurations, 64GB, 128 GB and 256GB starting from $1099. The pre-order will begin from September 14 and will get shipping on Sep 19. Apple, with the rumors suggested, the iPhone model will get it one more smartphone, i.e. iPhone XR. It will come will edge to edge display simply like iPhone X with color options red, coral, blue, white and black. It has the latest liquid retina display of 6.1 inches with LCD of 1792×828 with 1.4million pixels, the perfect blend between iPhone 8 and iPhone 8plus as per the size. It has a true tone display, with face ID, and Depth camera sensor like other models. According to Schiller, “It’s the full iPhone X experience”. It comes with a same A12 Bionic chip like other two models and will give 90 minutes of more battery life in compare to iPhone8. Crucially, it is beefed up version based on C models from past years. The Xr looks optimum to operate on a flagship level, as it is the most affordable phone by apple. 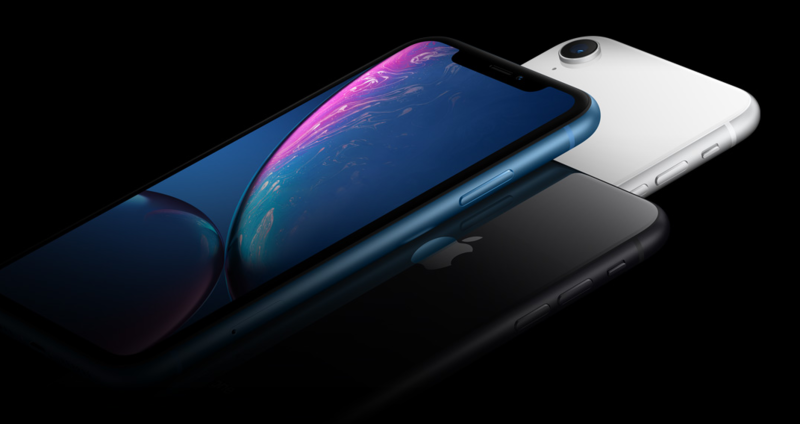 The XR comes with three storage sizes of 64, 128 and 256GB starting at $749. The pre-order date announces by October 19 and will ship later on October 26. Well, it is worth mentioning to write miscellaneous updates. Homepad and tvOS both are the latest in updates, on September 17 Monday. Moreover, Homepad now gets its feature update with stereo pairing support and Airplay2. MacOS Mojave upgraded with dark mode feature and redesigned app store as on sept24. All done folks. See you this spring.